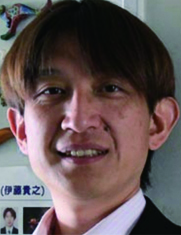 Short-bio: Takayuki Itoh is a full professor of the department of information sciences in Ochanomizu University, Japan since 2011. His research interest includes visualization, computer graphics, multimedia, and human-computer interaction. He was the director of the society for art and science in Japan during 2014 to 2016, general chair and organizing chair of IEEE Pacific Visualization 2018 and 2014 respectively, and a track chair of ACM Symposium on Applied Computing, Multimedia and Visualization track during 2012 to 2016. Takayuki Itoh has received his B.S., M.S., and Ph.D. degrees from Waseda University in 1990, 1992, and 1997, respectively. He has been a researcher at Tokyo Research Laboratory of IBM Japan during 1992 to 2005. He was also a visiting researcher at Carnegie Mellon University in 2000, and Kyoto University during 2003 to 2005. He has been an associate professor in Ochanomizu University since 2005, and a full professor since 2011. Many graphs used in real-world applications consist of nodes belonging to one or more categories, or associated with feature vectors (called ``attributed node'' in this talk). Graph clustering and layout are key techniques for effective visualization of such graphs. This talk briefly surveys these techniques and then introduces author's own techniques on visualization of graphs with attributed nodes. This talk also introduces extensions and applications by his students.